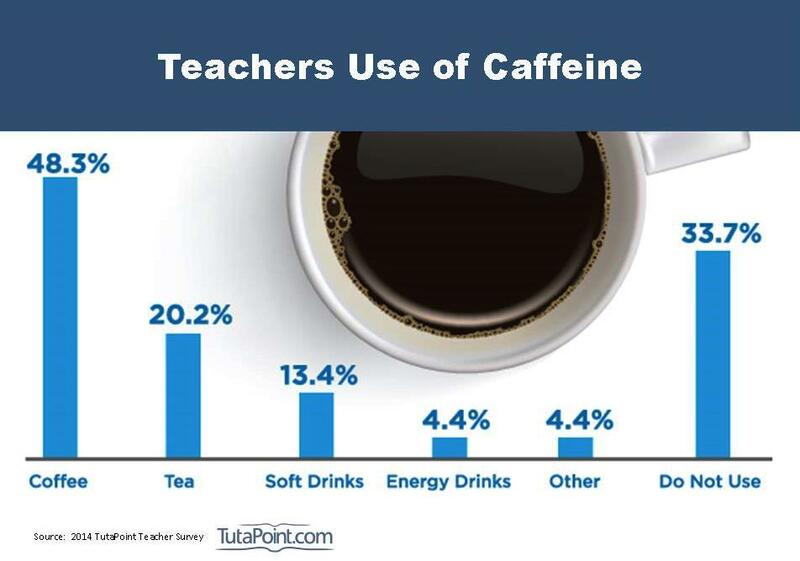 How Much Coffee Does a Teacher Drink? When it comes to careers that require an early wake up and intense work, few positions require as much “on time” as a high school teacher. Recently, TutaPoint surveyed veteran teachers from around the northeastern United States. One of the less serious questions asked was whether or not they used caffeine to help them get through the day. Before we divulge how many teachers are downing coffee, it is relevant to share what time teachers are waking up in the morning to start their day. According to the 2014 survey, most high school teachers get their day started before 5:30am, with 67% getting up before the sun rises. Really going after that worm: just over 30% of high school teachers get up before 5:00am.